The Sustany® Foundation continues its program of mini-grants for sustainable projects in 2014. The first recipient this year is Rexford Stanford. Rex had the bright idea of re-using the old recycling containers (the ones Tampa replaced last fall) as “grow boxes” at local schools. And thus was born the “Hope Growers” project. Rex Stanford with “grow boxes” made from former recycling containers. The old recycling containers make perfect planters for fruits, vegetables, and herbs. The first school to participate was the Bruce R. Wagner (BRW) Elementary School in Lakeland. 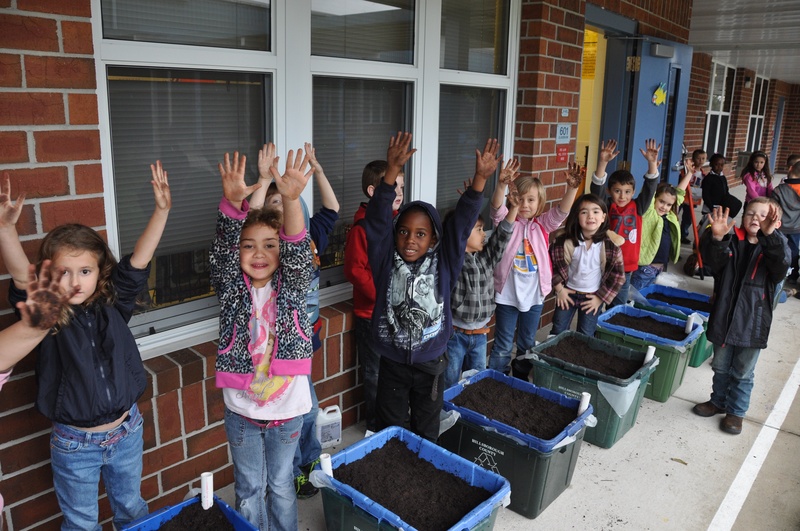 One Kindergarten and one First grade class teamed up to plant 18 boxes on January 31, 2014. And now, just weeks later, they are starting to harvest the first items: bags and bags of lettuce and bok choy. So many vegetables that the kids plan to sell salads to their teachers to raise money for class activities. The next school was the Lake Alfred Elementary School in Lake Alfred. 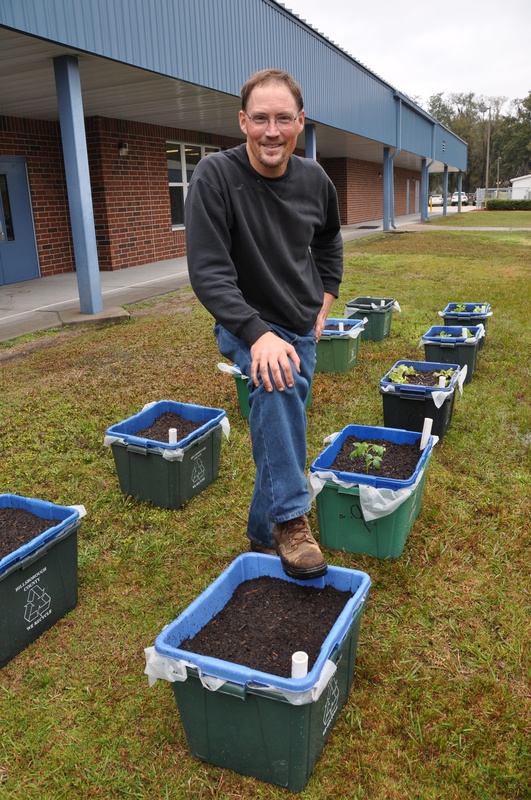 Their grow boxes were planted on March 7, 2014. And more schools are in the works. Boxes have also been donated to The Sustainable Living Project and to ECHO (Emergency Care and Help Organization) in Brandon. 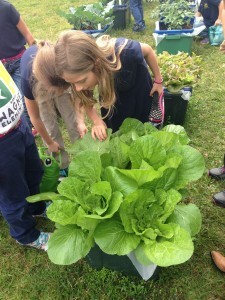 Kids are amazed at the huge lettuces they’ve grown! — Recycling. By re-using the old recycling containers instead of throwing them away. — Where fruits and vegetables come from. And they learn this not from a book, but in a hands-on, exciting way. Kids that don’t eat salads are trying them now, and loving them. — Produce types that are new to them. Like kale, bok choy, cucumbers, zucchini, snow peas, Swiss chard, watermelons, Brussels sprouts, tomatoes, 3 varieties of lettuce, strawberries, beans, basil, collard greens, pineapples, rare melons, spinach and carrots. — Sharing what they know with their families. At the BRW school, 17 of the 36 kids have started a garden with their families at home. The children journal every day about the progress of the plants, and Rex collects that data to help make the next school even better. This is a positive experience that can help kids think differently about themselves and the world. 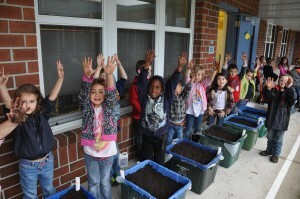 Kids have fun planting the grow boxes. What’s ahead for Hope Growers in 2014? For more information, call Rex at (386) 852-1928 (386) 852-1928 or email him at greenrex77@gmail.com You can follow the progress of Hope Growers at www.hopegrowers.org and also on Facebook at “Hope Growers Community”.